This module is still under development. Instructions are incomplete so proceed with caution. 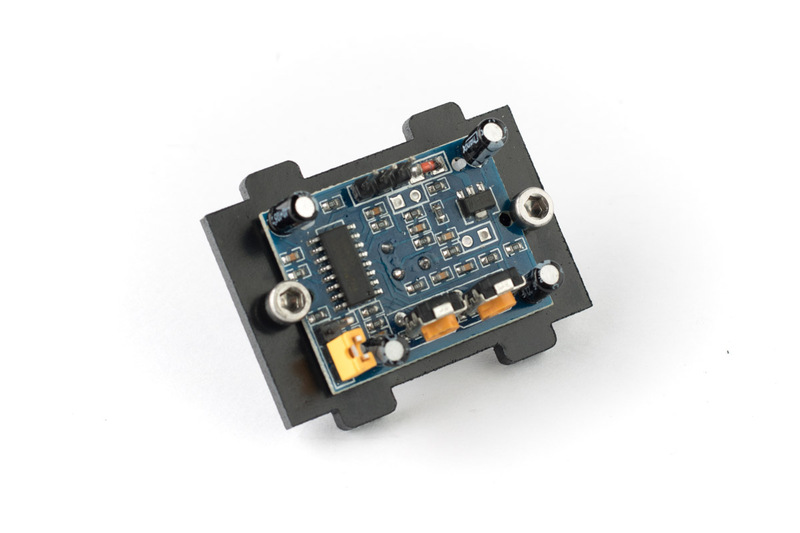 The module sensor module gives your robot the ability to detect motion near it. 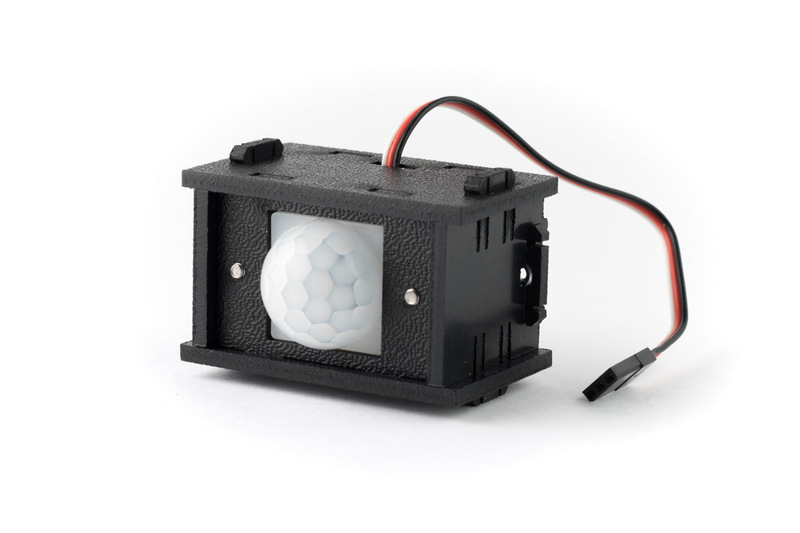 The module uses a passive infrared sensor to sense people near it. This type of sensor is very basic; it will only tell you that something is moving, but not what is moving or where. 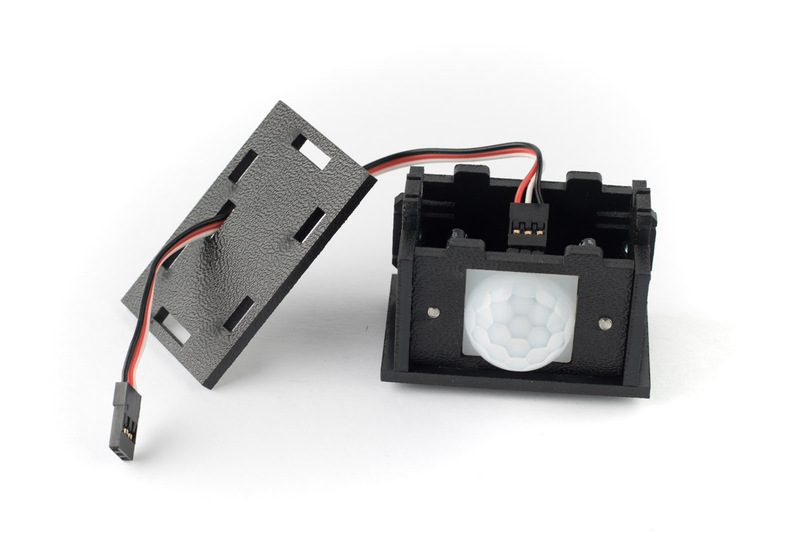 The motion sensor module can be connected to the grid using 2 M3x10 screws. 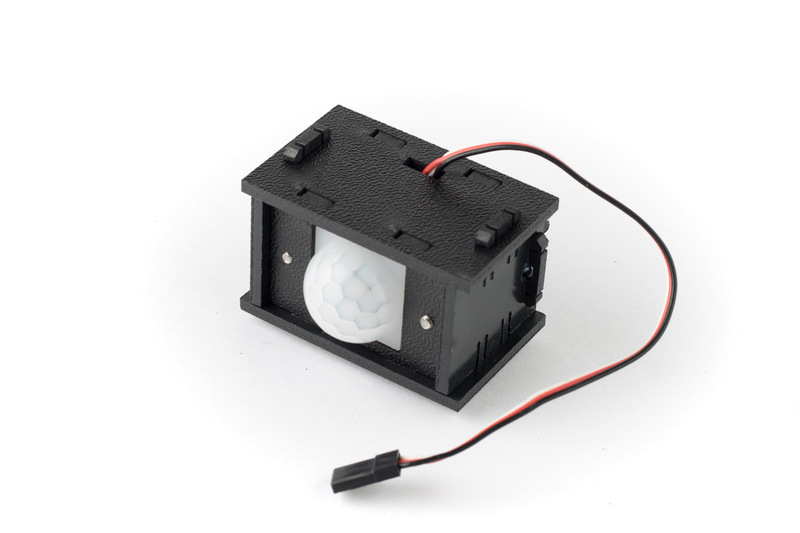 Attach the PIR motion sensor to the front plate using two M3x6 screws. 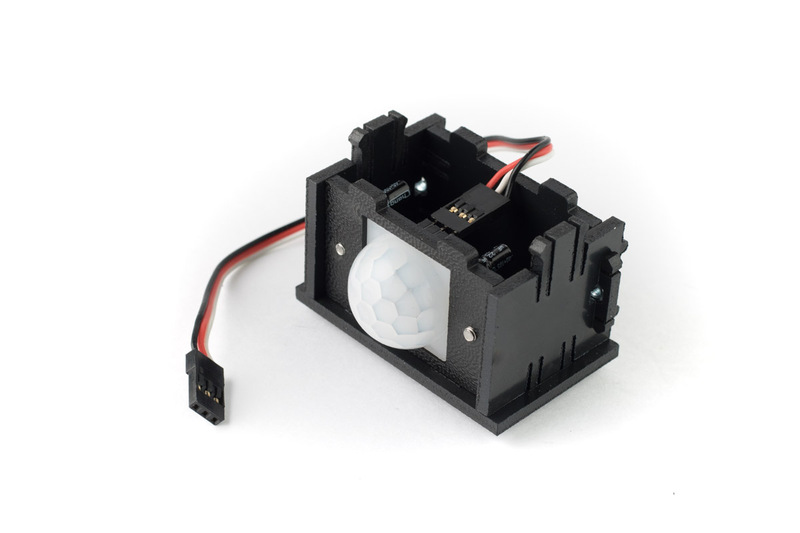 The sensor should be attached from the back, so that the screw heads end up inside the module and the white dome ends up on the outside. 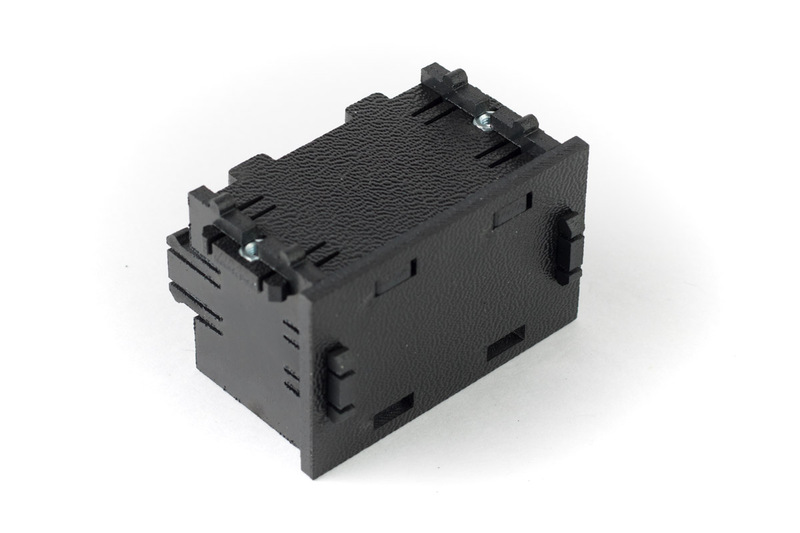 A modified male/male servo cable is needed to connect the module. Take the cable and swap the red and white wires on one end of the cable. Plug the modified into the connector on the sensor PCB, as shown in the picture. Pay close attention to the polarity of the cable! Insert two M3 nuts into the hexagonal holes in the bottom plate. 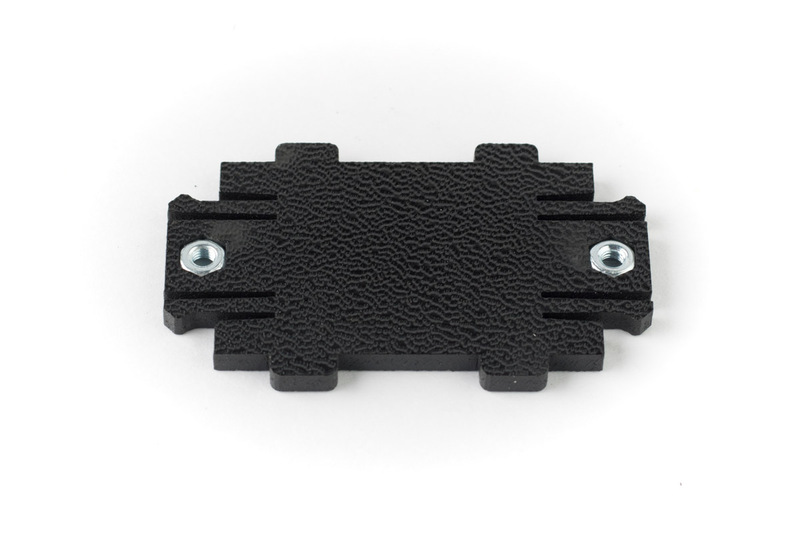 Attach the side plates using the snap connectors. 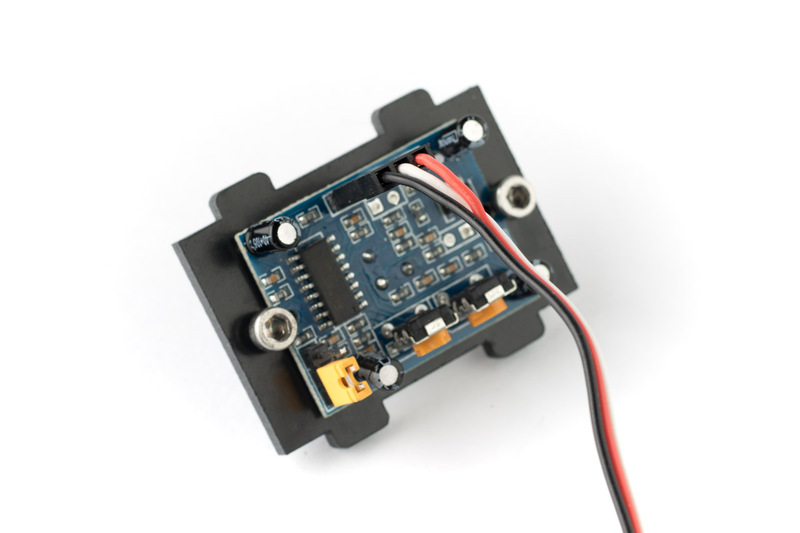 There are two different side plates for this module, one with a cable opening and one without. Attach the side plate without cable opening. 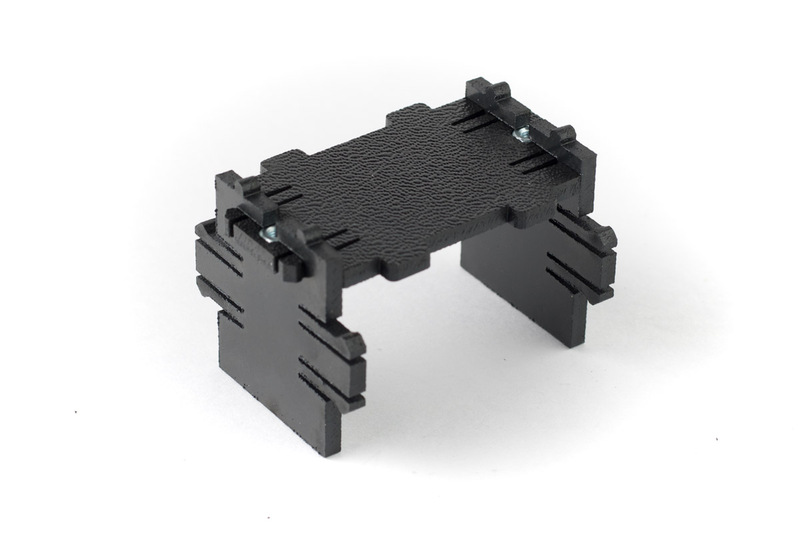 Slide the top plate with attached sensor into the side plate. Slip the cable through the cable opening in the remaining side plate. Snap the side plate into place. The module is now ready!